As my dear followers on instagram must know by now i am a big fan of cardamom and cinnamon buns , i just can’t get enough of it . 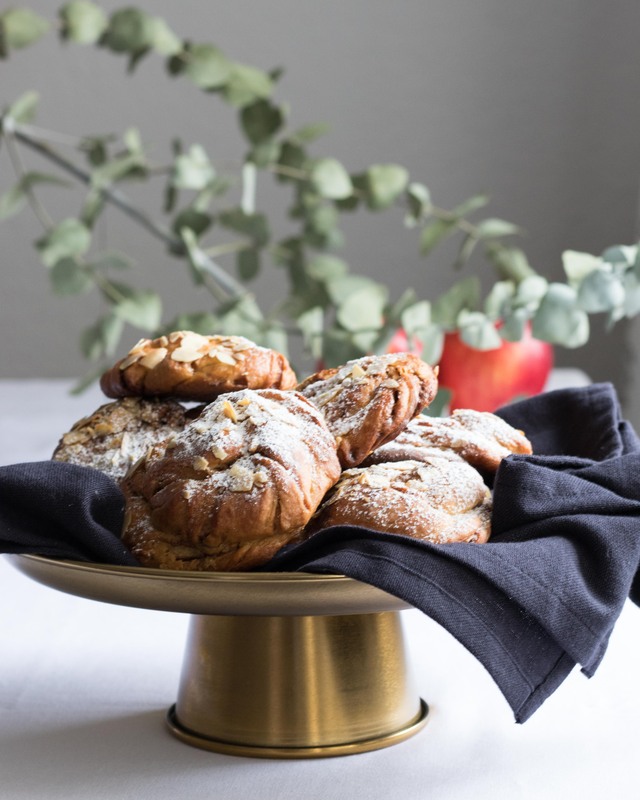 And i think it is the best comforting dessert after chocolate mousse and it complements perfectly a hot cup of good coffee so here is one of my most successful recipes of Swedish style cinnamon buns , enjoy it . Start by mixing the warm milk , melted butter , egg , cardamom and 1/3rd of the flour then let it sit for 30 min. Now add in the rest of the flour and mix until having a homogeneous fluffy dough then set it aside to rise . Roll the dough out and spread the cinnamon butter on it . Fold the dough and cut it into 1,5 cm stripes , twist each one and form a small cute bun . Bake in a 180 C preheated oven for 25~30 min .